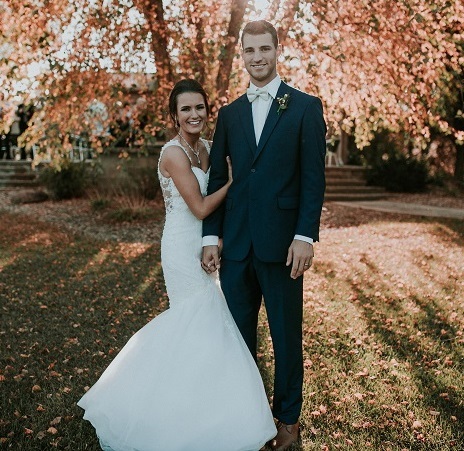 Brianna Kuebler, wife of RHP Jake Kuebler, played soccer for the University of Nebraska-Lincoln before transferring to the University of Nebraska-Omaha where she continued playing soccer and going to school. She graduated with a degree in Public Relations and Advertising and works as an account manager at Aradius Group, a full-service marketing firm in Lincoln. She loves to work out, spend time with her husband, and cheering on the K.C. Chiefs and a self-proclaimed LeBron James fanatic. Jenn Maron, wife of Catcher Cam Maron, who is in the Miami Marlins system and mommy to their pup, Splitter. She studied Music with an concentration in vocal performance in Opera and she is a total Broadway lover. She loves to work out, watch sunsets with her husband, and travel. Jenn is a floral consultant for weddings and events and currently resides in New York. Stay Tuned, more Ladies to come…..